Section 8 Snowsport Institute is a Canadian ski and snowboard training school owned and operated by passionate snow sport professionals. ...we also like to have a little fun in the process! Section 8 Founder & Program Director, Tobin first became qualified as a ski instructor at the age of 16... now well into his 40's he still manages to slide down snowy hills for a living. Tobin grew up skiing the steep and deep tree lines on Vancouver Island, but has been found teaching and participating in outdoor pursuits in various corners of the globe. On the weekends you will find him chasing his two daughters, Miyuki and Satsuki around the slopes. Tobin is a CSIA level 4 and former member of CSIA High Performance Team. He's a graduate of the Canadian Outdoor Leadership Training program and also holds certifications with the Canadian Ski Guides Association, Canadian Ski Coaches Federation, BC Freestyle Ski Association and the Canadian Avalanche Association… to name a few. Helen is the Program Coordinator for Section 8's S.L.T (Snowsport Leadership Training) program and Director of the 'She Shreds' program for women and leaves most of the boys in her dust when it comes to hard charging on the mountain. She started skiing at 4 years of age at Whakapapa in New Zealand, began ski racing at 11 and did her first full season at 15 (it turns out skiing is addictive!). In 2007 she came over to Canada to teach a season at Mount Washington and she’s been stuck here ever since. Helen has a degree in psychology which comes in pretty handy whilst trying to convince students to do irrational things (like sliding really fast down an icy pitch). 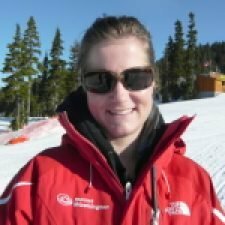 She is one of only a handful of CSIA level 4 ski instructors on Vancouver Island, a CSIA Course Conductor is also Snow Park Certified. Secretly she also snowboards and has her CASI level 1. Section 8 Director of Snowboard Operations, Tom Arnold has been on snow since the moment he could walk. Skiing from the age of 1 in the European alps. Whilst still ski racing at the age of 8, Tom experienced a powder day on a snowboard and has never looked back. Once he left school… he decided to snowboard for life! You’re most likely to see Tom on the first chairlift in the morning and riding up last one at the end of the day! Tom’s life ambition is simply to have fun with good friends and pass on the stoke to people with a snowboard, surfboard or guitar under his arm! He is a level 3 (& a half) CASI instructor (He has completed the very difficult riding portion of the level 4) and a level 2 course conductor, a CS level 2 freestyle coach and a terrain park evaluator. ACMG certified guide, owner of Island Alpine Guides and head forecaster for the Vancouver Island Avalanche Bulletin, Jan directs our advanced mountain skills and avalanche courses. Jan’s guiding and teaching career has spanned more than 30 years and at least that many mountain ranges. Most of this time has been spent working and living in the Himalayas guiding, climbing and trekking in Nepal (he speaks fluent Nepali) and running a helicopter skiing operation in India. Jan has climbed and skied in BC’s Coast Range, the Rockies, the interior ranges, all over the mountainous west of the USA, Europe, Alaska, the Canadian Arctic, the Himalayas and of course, in Vancouver Island’s mountains. For a number of years now, Jan has called the Island home and says “the unique beauty of these mountains has captured his heart.” He brings vast experience and dedicated professionalism plus a sense of fun to his work as a teacher and a guide. 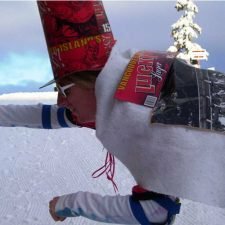 Part time Section 8 coach Jen Young also happens to be the Snow School Director in charge of all the troops at Mount Washington Alpine Resort. She has been tearing up Mount Washington since she was a toddler and has been a ski instructor on the mountain for the past 17+ winter seasons. Now she’s raising a toddler of her own as her assistant on the slopes. 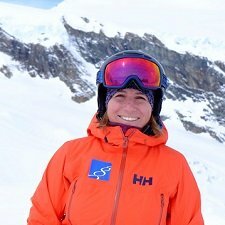 A CSIA level IV Instructor (the first woman from Vancouver Island to achieve the elite certification), Jen is also a CSIA Course Conductor and holds CSCF race coaching and CSIA freestyle certifications. 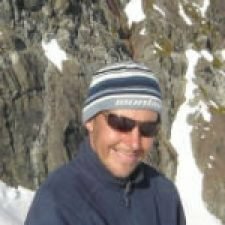 Section 8’s Ski Camp Coordinator, Nigel has taught skiing in most European countries, as well as Japan, New Zealand, Australia and of course Canada. He has skied and climbed everywhere from Greenland to South America, Asia, the Himalaya, Scandinavia, Alaska and many other locations. He has crossed the Atlantic a couple of times on small sailboats filled with skis and climbing gear. Now deep into middle age, yet looking not a day over 25, Nigel lives in Cumberland with his partner, Chelsea, and their 2 adorable and perfectly behaved children, Freya and Zachary, who are being trained by their parents in the arts of travel and adventure. Nigel is an ISIA accredited BASI grade 3, CSIA level 3 and level 1 CSIA Course Conductor. He is a CSCF level 2 race coach and is also a certified park instructor. He holds the UK’s Mountaineering Instructors Certificate. Ken Paynter (aka. Dr. Ken) has a skiing career that spans more than 25 years. He has managed and trained instructors in Whistler British Columbia for a good portion of those seasons. He currently holds the position of technical coordinator for CSIA BC and is in charge of training level 3 and 4 instructors on the effective delivery of Canadian level 1 course material. Ken prepares and certifies instructors nationally for courses right up to the highest level (level 4) of our certification program. 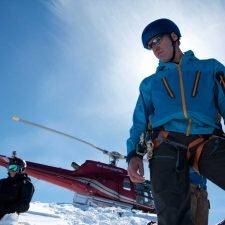 He is a current member of Western Canada’s High Performance ski team and prides himself on his ability to effectively demonstrate efficient and precise ski technique. 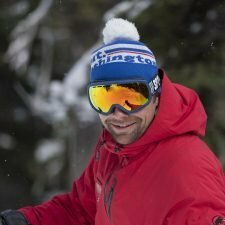 He brings an engaging blend of technical, tactical, and outcome based information to his teaching approach that is guaranteed to impact and improve both your understanding of technique and your actual skiing. 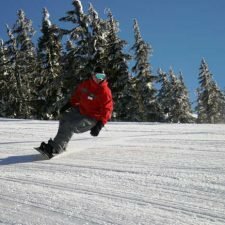 Section 8’s Technical Director for Snowboarding also acts as the Snowboard Technical Director for Mount Washington Alpine Resort. Mike has taught across Canada from Ontario to BC as well as internationally in Andorra. He has been settled now for 20 years on Vancouver Island to take advantage of Canada’s deepest snow in the winter months and most desired Surfing beaches through the summer. Mike was one of a handful of snowboarders chosen to represent Canada at the 2011 Interski congress in Austria. He is a CASI Level 4 Instructor and Examiner and previously sat on its Technical Education Committee as the British Columbia representative. He is a Freestyle and Carving Coach/Examiner for the CASI and also holds certifications with the CSIA and CANSI. 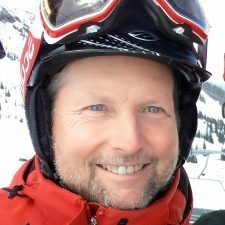 Mike is a highly experienced Canadian Ski Instructor’s Alliance (CSIA) Course Conductor and Level IV certified ski instructor, as well a level II CSCF alpine racing coach, and Level I CASI snowboard instructor. Aside from the odd coaching gig with Section 8, Mike is heavily involved in many aspects of the ski industry. 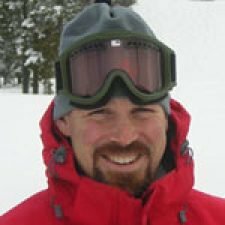 He is the Director of Sport at Mount Washington Alpine Resort, the Chair of the British Columbia CSIA Committee, the Snow School Chair for the Canada West Ski Areas Association and you’ll often see him sneaking around the country training instructors and examining courses for the CSIA. Where he finds the time is a complete mystery… he is a Zen multi-tasking Master! When the snow melts you’ll find Mike getting super buff in the gym, racing his mountain bike through the forests of Cumberland or playing Dad with his young daughters. Guest coach for Section 8, Darrin is the Technical Director of Skiing at Mount Washington Resort and head trainer responsible for keeping all the instructor staff up to speed. He started his teaching career in the Rockies near Banff in prehistoric times but moved to the Island eons ago. Nobody really knows how long he’s been here but we can only guess it’s been an eternity. Don’t bother asking though… you won’t get a straight answer! 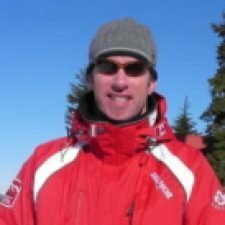 Darrin is a CSIA Course Conductor and Level IV certified ski instructor as well as being a Canadian Ski Coaches Federation certified race coach.